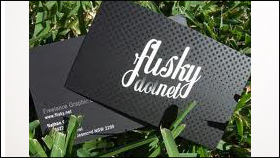 Silk Business Cards is a truly unique product consisting of special materials that make it water proof resistant, and give it a durability that will last for many years. 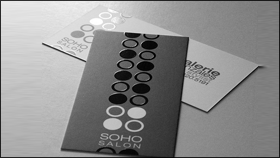 Silk Business Cards gives you the ability to have maximum exposure out of each card. 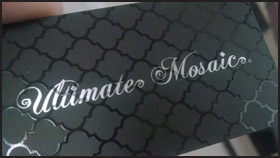 They are great for insurance cards, business cards and many other creative ideas. Our Silk Business Cards are a 16pt Thick Stock which has the feel and body of a 140lb paper stock. 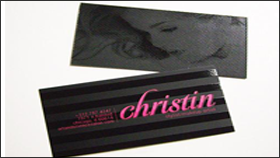 Silk Business Cards is one of the BEST products we offer. The Silk Process begins with a nice 16pt 140lb Card Stock. We then add a Silk Laminate on top of the card stock to get the smooth and protective layer on the card stock.Once the Silk Laminate is applied the card is ready to have extra features added such as Foil or Spot Gloss. The most popular is Silk paper stock which gives the paper a smooth finish.. 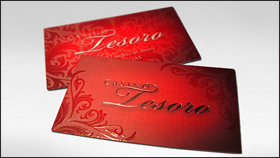 Some people prefer to add a Silver or Gold Foil accept to the Silk Business Card. This is applied last in the printing process. We actually stamp real Silver or Gold on to your Silk Business Cards. They add alot of Creativity to you Silk Business Cards. - Layout Information- Accept Print follows standard business card layout practices.